We are a San Diego based group with a passion for cycling and adventure! Our weekend rides are medium paced and full of fun! 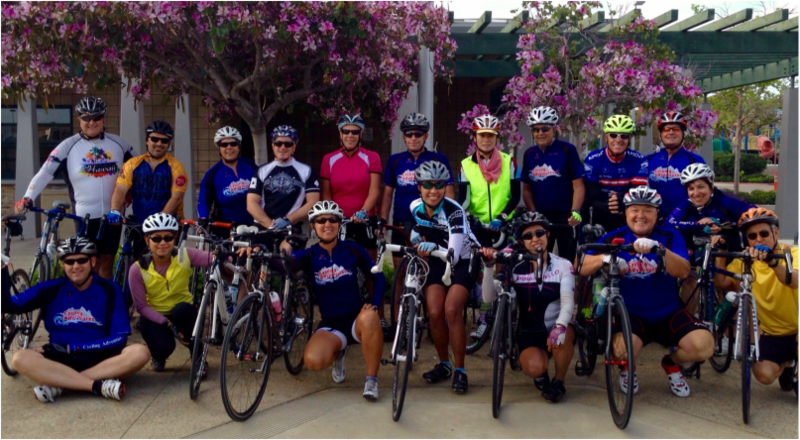 We offer group rides all year round to prepare for century events and weekend cycling getaways. Our team spirit is contagious. Cycling Adventures follows the "no rider left behind" policy; however you are responsible for your own equipment, safety and support. Also, helmets are always required when riding with Cycling Adventures.